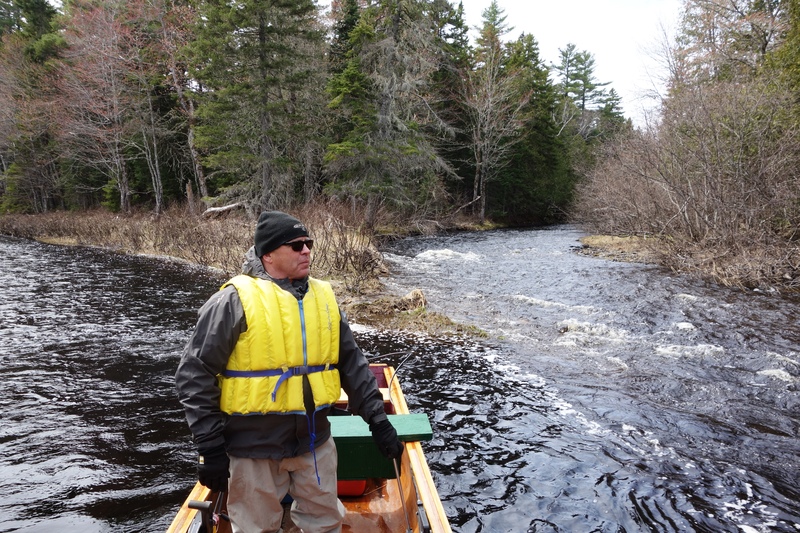 Since he was a boy Keith Wilson has been taking people to the Fork’s Pool where the North Branch – to the right – meets the main stem of the Cains River about 50 miles upstream from where the Cains enters the SW Miramichi. Seems a little strange to be writing about the tipping point – that time between spring salmon and the first bright fish on the Miramichi – when not much more than a week ago it was cold, and the water level was near flood stage. But it’s different now. The Miramichi is down to just over 2 meters in height which is a reasonable level for mid-May. I just spent a few days up at camp, but did very little fishing. Instead we spent time up on the Cains, doing some research and taking photographs for On the Cains which I expect to turn in to the publishers later this summer. 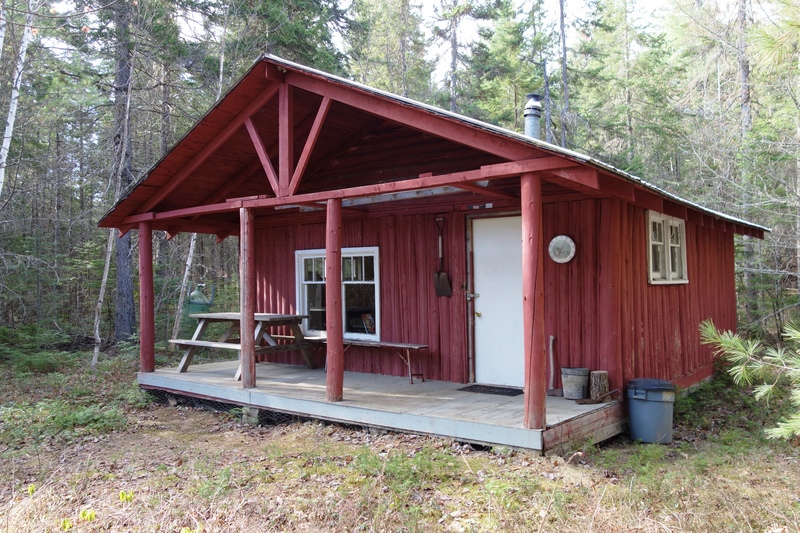 I’ve got a three day trip up to Wilson’s – the acknowledged master brook trout outfitter of the upper Cains – in early June, and then I’ll be turning my attention to Atlantic salmon fishing. The fishing I did do was on this past Sunday morning. Jason Curtis and I fished some of the best spots in what was termed the Golden Horseshoe area of the Miramichi which extends more or less from my camp at Campbell’s Pool upriver to the old Herman Campbell camp – now Salar Haven – in upper Blackville. We did not have a tug, and I only saw one boat catch a fish, though there weren’t many fishing either. Another guide we talked with had the same luck, but just a couple of days before fishing had been very good. We heard from Wilson’s and Country Haven that there were a lot of happy guests. I’m sure that there will still be some fish headed down the Miramichi, and the lower end of the river will undoubtedly have some good days yet this season. Country Haven posted this picture on Facebook of an especially good-looking kelt that may very well have been chowing down some smelts. The very cold and high, dirty water that characterized most of this black salmon season certainly carried many fish downstream without anglers having a crack at them. Such are the vagaries of black salmon fishing, but it can’t do anything but help the odds that those same fish will return from the sea as powerful, reconditioned fish later this year or next. Essentially every salmon in the Miramichi larger than 15 pounds – and many smaller than that – is a rebuilt kelt, so more of them cannot hurt a bit. Drone photo of Irving’s Red Pine Lodge, on the past site of the historic Hopewell Lodge, overlooking a great pool. The fading high water gave us the opportunity to visit some places in the upper Cains that I have never been. We used a drone plus regular camera to photograph some of the upper pools and camps. Just motoring through some of the famous old pools like Hopewell, Gordon Brook, Leighton’s, Wildcat, Ogilvie, and Otter Brook provides an almost religious experience to people who love the historic sea run brook trout and Atlantic salmon fisheries of New Brunswick. Special thanks to Ashley Hallihan of Miramichi High School and his student Alex Leslie, who did this drone work for us. The first sea run brook trout are only about a week and half away, and the earliest bright salmon catches from locations known for them such as the NW Branch, the Dungarvon, and even the SW Miramichi could take place anytime beginning in another week or so. 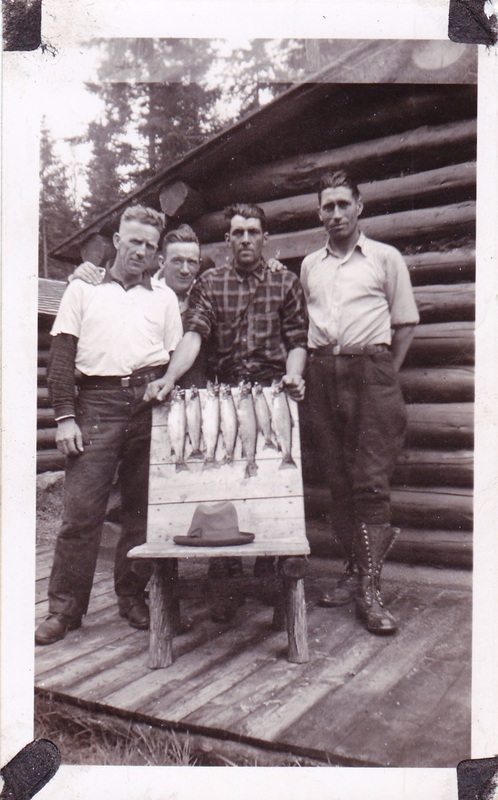 I came across this picture recently, and retired warden and guide Emery Brophy identified it as showing Charlie Wade, second from left and Emery’s father John Brophy, far right – probably in the 1940s with these trout from a camp that Charlie took sports to over on the Dungarvon for a couple of weeks each year beginning around 5/15. Emery said that they always had some nice early run salmon in addition to the brook trout. Can any of you identify this camp on the south side of the Cains River, almost hidden by the woods between the mouth of Sabbies River and Shinnickburn? In my view the June fishery on the Miramichi is not as popular as it should be. Lots of anglers want to come in July for the perceived larger run of fish and grilse. 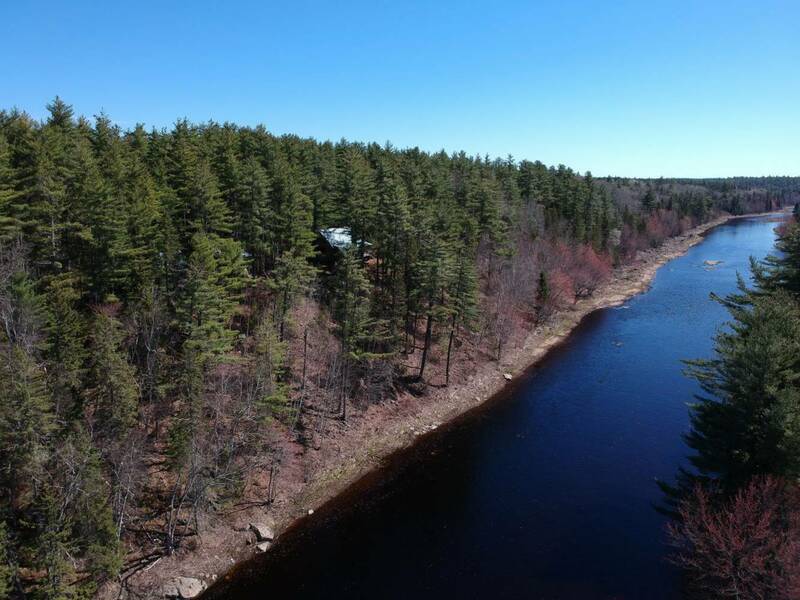 Many more want to come in the fall which is definitely the most dependable part of the Miramichi and Cains River season. But June is very special. In June we have highest quality fish of the year. The fight of a big June salmon is hard to comprehend if you haven’t caught one. It is true that there aren’t as many as in the fall, but they are there, and generally speaking they take the fly very readily. There is a strong flow of relatively cool water, and in general it is one day after another of good conditions. On top of all that the outfitters usually have a little room available, so if you’ve got some time when you can get on the water consider a Miramichi Atlantic salmon trip in June this year. The post The Tipping Point appeared first on Brad Burns Fishing. John and John… First, I have never personally wet a line in the Bartholomew. By reputation it can be good trout fishing early, and the time for that is right now for the next three or four weeks. I think the salmon that spawn up in the Bartholomew mostly leave afterwards to spend the winter in the deeper Miramichi. If anyone does fish in there for spring or black salmon I’m not aware of it. Also, from what I am told of the Bartholomew bright salmon run, most of it takes place in the fall much like the Cains run. Salmon that ascend the Bartholomew too early in the summer would run a significant risk of being caught in very shallow pools during the heat of the summer. Hello, Anything going on along the Bartholomew. I fished that small river a couple of years ago and had good luck thereabouts … (?). Thanks for your reply, if you find the time. I am looking forward to seeing your book on the Cains. I recently read “Closing the Season” which brought back memories of Herb, Willy, Jimmy and of course your pool which we were able to fish for several years under Wades and once in awhile with Willy. (I loved fishing Papa Rock Which always delivered late in the day if the fish were running.) My group has never missed a year and each time we return it is coming home to family. Thanks for your reports and writings.